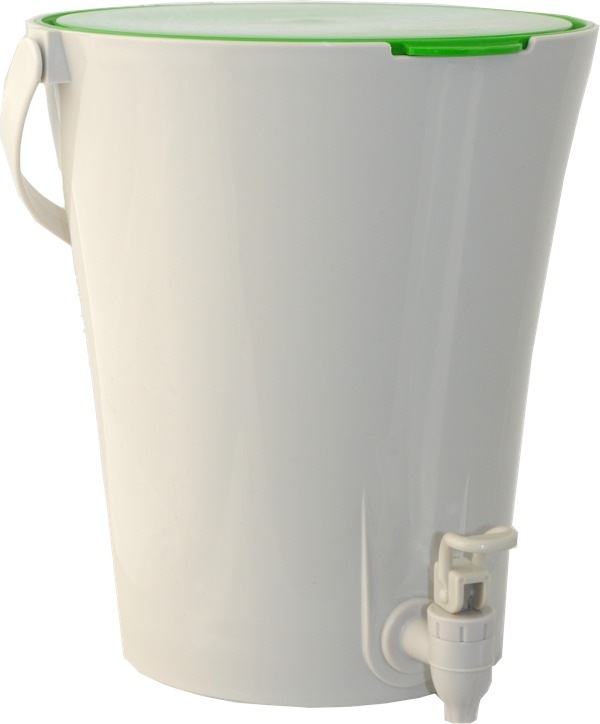 The new compact Urban Composter City offers a neat bokashi composting solution for smaller homes and apartments. All your organic kitchen scraps can go into the bucket including your vegetable peels, fruit juice pulp and egg shells. Even protein based scraps like meat and fish can be composted, just give them an even coating of the Compost Accelerator Spray. The Compost Accelerator spray is a special formulation that makes the Urban Composter is convenient and easy to use. “There is no mucking around with bokashi pellets which are heavy to carry, bulky to store and easily spilled.” explains Lynette Gregory from Urban Composter. Kitchen scraps go into the top of the Urban Composter City, just by lifting the tight sealing bucket lid. A couple of sprays of the Compost Accelerator spray and the fermentation process starts almost immediately right there in the bucket. The Urban Composter™ City requires very little attention. Every few days you drain any excess liquid from the Urban Composter City using the inbuilt tap, but don’t throw the liquid away. You dilute it in a watering can and water it into your garden. The liquid from the Urban Composter City is a nutrient rich liquid fertiliser that will improve the yields of almost any garden. A full bucket is left to ferment for an additional 6 weeks before digging the leftover pulp into a pot or garden bed to breakdown completely. The new Urban Composter City comes in your choice of four lid colours: Lime (Green), Chilli (Red), Berry (Purple) and Black. While the original Urban Composter bucket has a capacity of 15 litres, the Urban Composter City holds a very respectable 6 Litres of kitchen scraps.